For the fifth year in a row, the Indie Photobook Library will be at the Philadelphia Photo Arts Center Book Fair presenting a selection of new photobooks to the archive with a nod to photobook makers in the Asia-Pacific and Mexico! 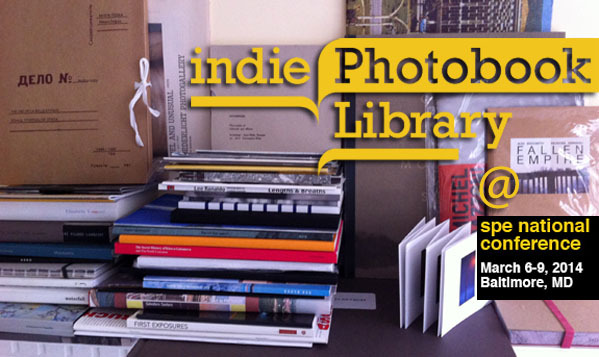 Come get comfortable with a good photobook in the the West Elm sponsored Indie Photobook Library reading room. Selections by Larissa Leclair and Alexis Lodsun. 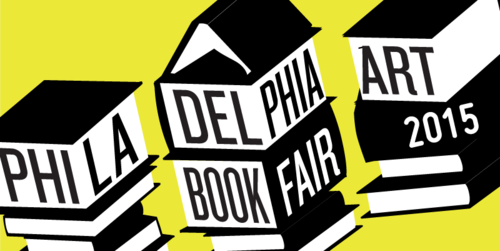 For a list of exhibitors and programming, visit http://www.phlartbookfair.com/. Larissa Leclair and the Indie Photobook Library have been invited to participate in Colby Museum of Art’s community day on April 11, 2015. The focus is on the book. Come join us for lectures, a free workshop, book fair, and pop-up library. Saturday, April 11, 2015, 10:00 a.m. – 2:00 p.m.
Food and drink will be available in the lobby at 12:30 pm. For those traveling from southern Maine, a bus will depart from SPACE Gallery in downtown Portland (538 Congress Street) at 9:30am and will return by 2:30pm. Bus tickets are $5. Please reserve a seat via Brown Paper Tickets here. The Asia-Pacific Photobook Archive (APPA) is hosting a micro-exhibition featuring 7 books on loan from the Indie Photobook Library, (iPL) Washington DC. These books will be on view in Melbourne in the first of APPAxiPL collaborations in Australia. The books include some amazing, unique award winning books from the last couple of years. Thank you to Daniel Boetker-Smith and Christine McFetridge. The Indie Photobook Library’s seminal traveling exhibition, curated by Larissa Leclair and Darius Himes, arrives at Duke, after stops in New York, San Francisco and DC. “A Survey of Documentary Styles in early 21st century Photobooks” draws from the iPL collection and features 70 photobooks. The exhibition looks at the “documentary tradition” through the lens of a 21st century, global photographic community in which the lines between journalism, art and the long-term documentary project have blurred, morphed and continue to feed off of each other. The books selected for this exhibition present a range of subject matter, each coupled with a particular visual language drawn from a pool of diversity. There are books that speak a more traditional documentary language, while there are those that explicitly critique that very same tradition; there are diaristic books and titles that overlay a typological structure; other books rely primarily on found and vernacular imagery; and there are many books that borrow heavily from an art-photography storehouse. The goal of this exhibition is to survey the field before us and to foreground questions of authorship, voice, style and content. The exhibition catalog, designed by Patrick Aguilar of Owl & Tiger Books, is available through Blurb. “A Survey of Documentary Styles in Early 21st Century Photobooks” from the Indie Photobook Library, curated by Larissa Leclair and Darius Himes, is part of the exhibition “Picture Books”, the juried exhibition of self-published and handmade photography books at Duke University. “A Survey” has been paired down to include just the 70 photobooks and does not include the photographs from the original Gallery Carte Blanche exhibition. 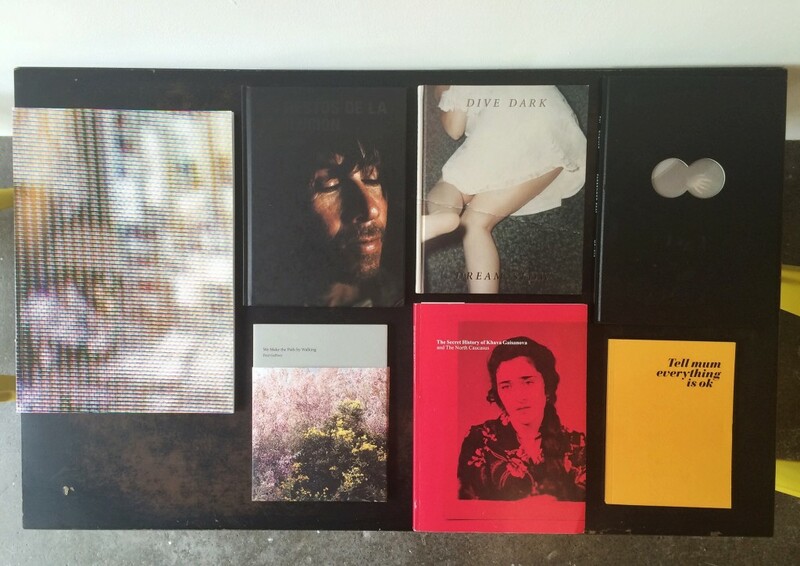 The Indie Photobook Library welcomes the Asia-Pacific Photobook Archive to the United States! 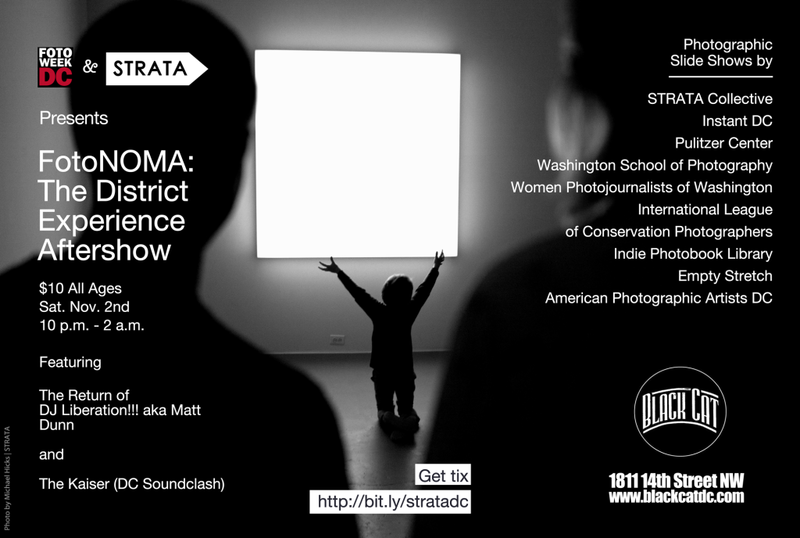 Come join us in DC for the third stop in the APPA’s roadtrip of pop-up exhibitions. For the first time ever, the iPL and APPA will exhibit together contemporary self-published photobooks from around the world from both of their permanent collections. Browse almost 100 titles, socialize, be inspired, get creative! Modeled after the Indie Photobook Library, founded by Larissa Leclair in 2010 and based in the DC area, the Asia-Pacific Photobook Archive (APPA) is a unique collection of self-published, limited edition, and handmade photobooks and zines whose sole purpose is the promotion of photographic work/books from the Asia-Pacific region. The AP region has some of the most exciting and vibrant photographic work being produced currently – due to economic and, sometimes, political and social constraints, photobooks from most countries in the AP region are not able to be seen at fairs and festivals internationally, and do not get shortlisted for the top awards in the USA and Europe. The Archive redresses this balance by getting copies directly from the photographers themselves, from countries big and small in the Asia-Pacific region and then traveling to events and festivals worldwide to show and promote these books; these books are ones that would not be seen and experienced otherwise. In 2013 the Archive traveled to Tokyo, Cambodia, and Malaysia, and in 2014 with huge collection of books now in the Archive we are traveling to the USA to bring a selection of photobooks never before seen in North America. The Archive has a permanent home in Melbourne, Australia, which is open to the public, researchers, artists, and institutions. The Archive also runs photobook talks, workshops, competitions, discussions, advisory sessions, and helps unknown Asia-Pacific photographers to get their work published. The Archive is directed by Daniel Boetker-Smith; Daniel is also the founder of Photobook Melbourne, an international photobook festival happening in February 2015 in Melbourne. www.photobookarchive.com. 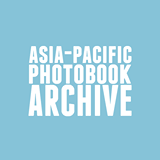 The Indie Photobook Library welcomes the Asia-Pacific Photobook Archive to the United States! Come to the Foley Gallery for the second stop in the APPA’s roadtrip of pop-up exhibitions for the Camera Club of New York’s 5th Annual Zine and Self-Published Photo Book Fair. 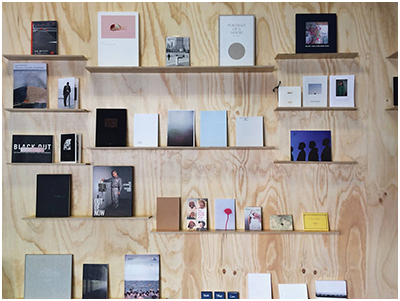 The APPA will exhibit contemporary self-published photobooks from the Asia-Pacific region. Browse almost 50 titles, socialize, be inspired, get creative! The CCNY Zine and Self-Published Photo Book Fair is made possible, in part, by public funds from the New York City Department of Cultural Affairs, in partnership with the City Council, and through the generous support of The Tierney Family Foundation. For more information about the iPL and APPA collections and to donate books, visit www.indiephotobooklibrary.org and www.photobookarchive.com. Not in New York? The APPA will be traveling to DC next weekend. 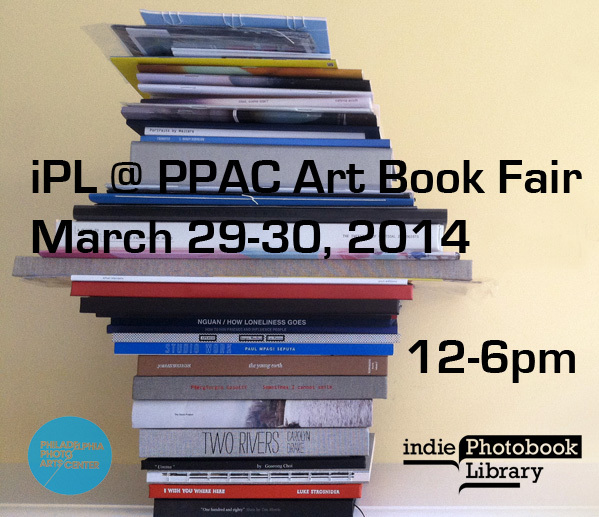 For the fourth year in a row, the Indie Photobook Library will be at the Philadelphia Photo Arts Center Book Fair presenting a selection of new photobooks to the archive! Selections by John Edmonds and Alexis Ludson, with Larissa Leclair. 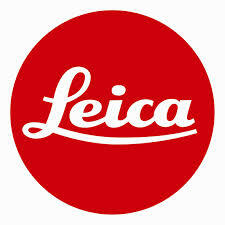 Visit philaphotoarts.org for the list of booksellers and programming.